Fargo was named the 2017-18 Division I National Coach of the Year by both the American Hockey Coaches Association and USCHO.com. Under the direction of Fargo, the Raiders experienced several new program firsts in the 2017-18 season. First Regular Season ECAC Hockey Conference Title, first conference title game appearance, first NCAA Tournament berth, first Frozen Four, first national championship game. Sophie Leclerc joined the Colgate women's hockey staff as an assistant coach in July 2015. She was promoted to the top assistant in July 2016. "I'm thrilled about this promotion and the fact that we are returning a great person on our staff moving forward,” head coach Greg Fargo said. “Sophie came on board and the impact was immediately felt by all of us. Stefan Decosse was named an assistant coach on the Colgate Women's Hockey staff in July 2016. In his first season as a full-time assistant coach, the Raiders recorded 22 victories for the second straight season along with a program record 13-game unbeaten streak and seven-game winning streak. The Raiders posted three separate winning streaks of at least five games. Josh Graser joined Colgate University as the program’s Director of Hockey Operations in June 2018. 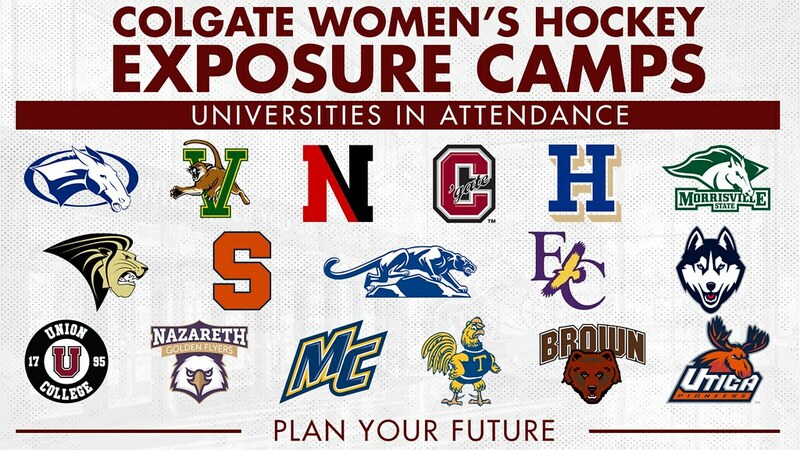 Graser comes to Colgate after working with the University of Vermont for the 2017-18 season. There, he handled all travel arrangements, aided with film breakdown, and assisted with scouting. He helped the Catamounts knock off future national champion Clarkson, WCHA champion Minnesota, and Hockey East champion Northeastern twice. UVM was 4-1-1 against the two finalists of the Hockey East championship, Northeastern and UConn. NCAA Bylaw 13.12.1.2 Attendance Restriction: A member institutions sports camp or clinic shall be open to any and all entrants (limited only by number, age, grade level and/or gender).